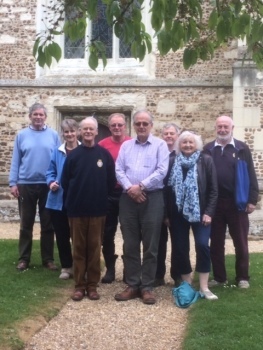 Members of the Royal Naval Guild of Bellringers rang two quarters today, to celebrate the ninety first birthday of Her Majesty Queen Elizabeth the Second. These performances were sent for print on Monday, 22 May 2017 at 18:56:31. Last updated Sunday, 23 April 2017 at 20:27:50. First submitted Saturday, 22 April 2017 at 16:12:18 by Mark Robins.